I can smell the cold when I step outside. The clean and brittle smell carries the smoke of the wood fire that heats a church on my block. The winter scent wakes me up more than the cold itself. I touch the cold metal of locks and free my bike. 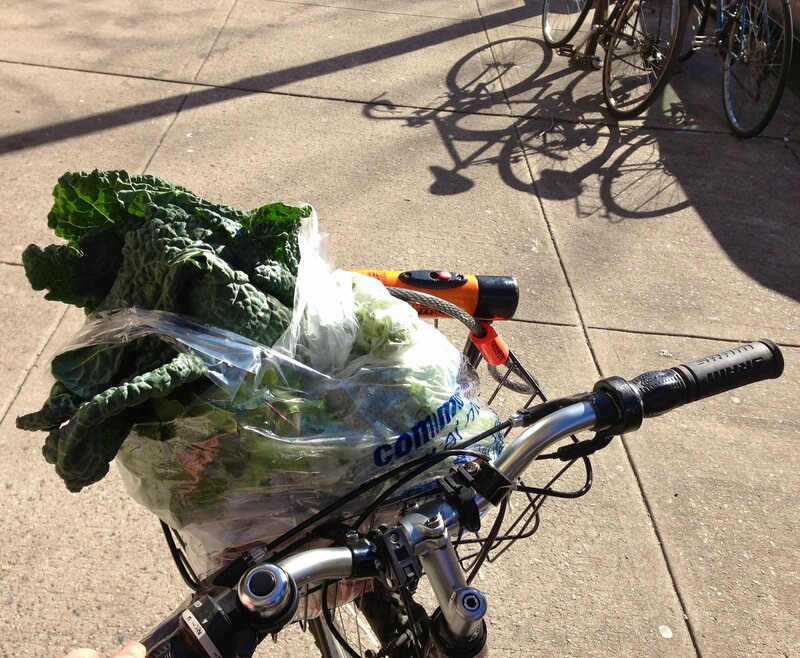 I only started riding a bike in New York City a year and a half ago. I’d always been too chicken to ride in the street before. 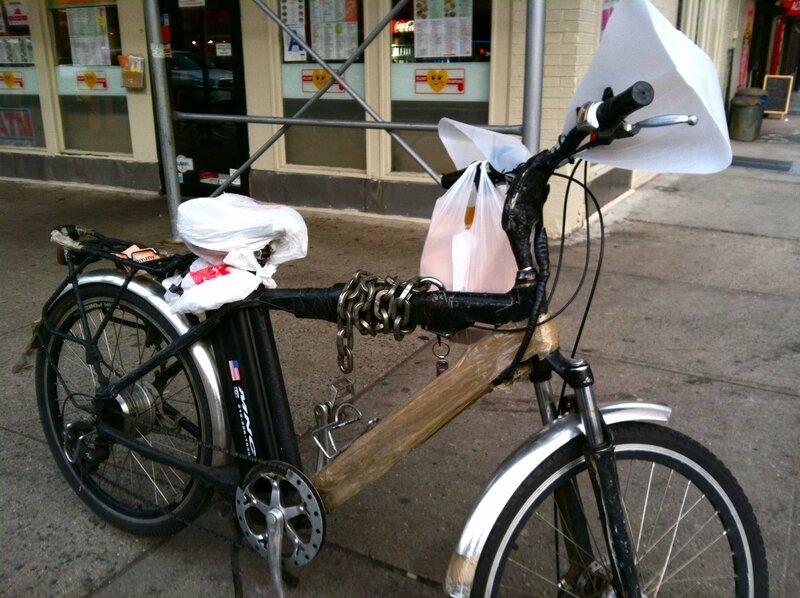 With the proliferation of bike lanes, I bought a bike from my neighborhood shop Recyle-a-Bicycle and started bike commuting to my office. Now you can’t get me off it. Only a downpour will get me back onto the slow and jammed-packed crosstown bus. I’ve discovered the trick to being comfortable is to keep the feet, neck and especially the hands warm. I wear an ample wool cowl that I knit myself that you can pull up to cover your face in the biting wind. 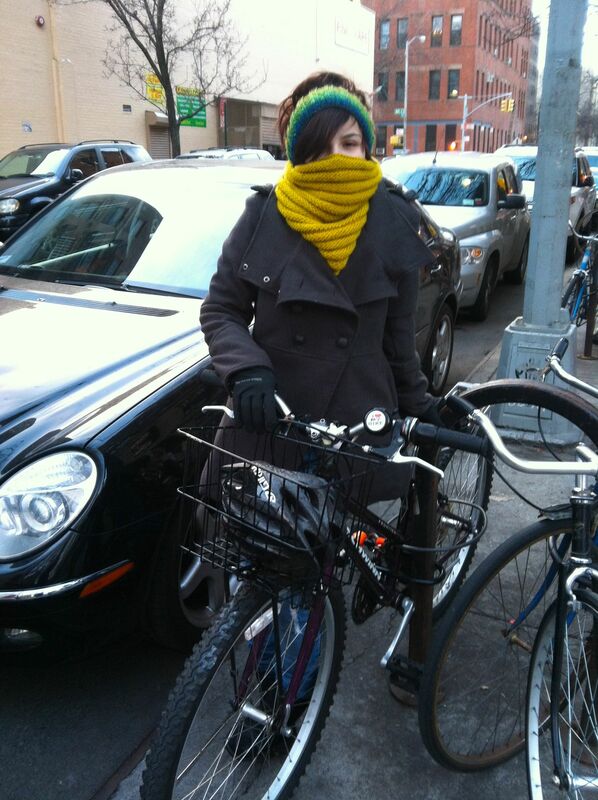 You can get the free pattern here in the post Winter Knits for Biking. I wear double gloves, but in the warm hands department, these win. 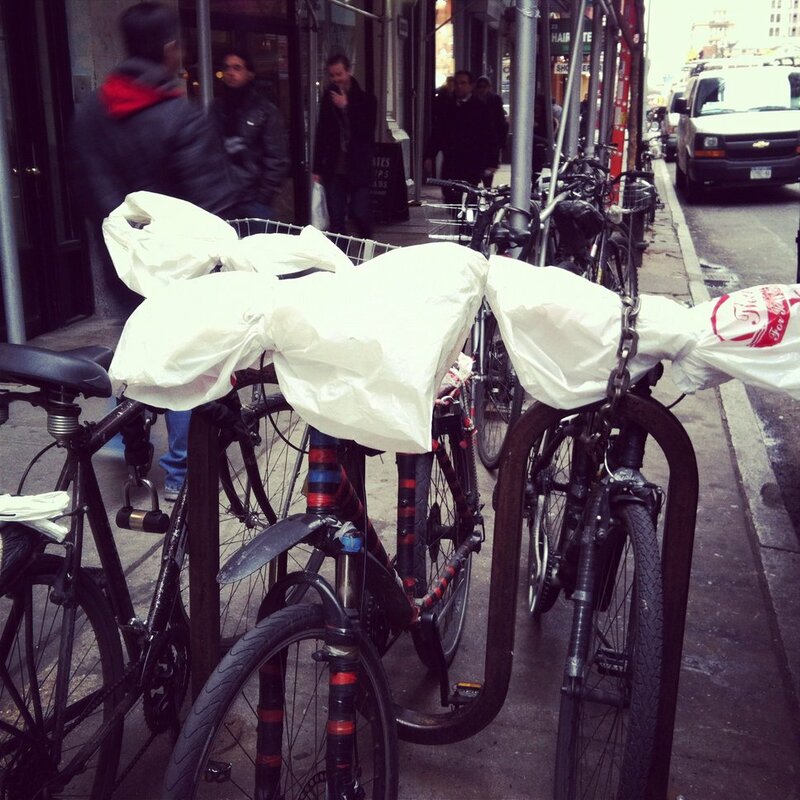 The food delivery guys have developed an ingenious system of using plastic bottles and bags to block the wind from the handlebars. 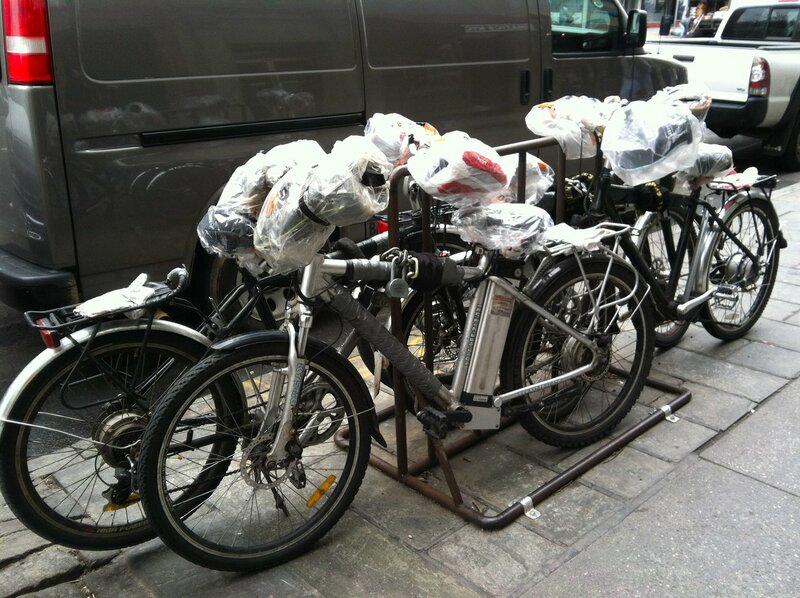 Maybe soon we will see fancy versions of these contraptions for sale in the high-end bike shops. I started commuting by bike only last spring. With the MTA monthly pass going up to over $100, and lots of new bike lanes to make it safer to ride in a crowded city, the decision was made. 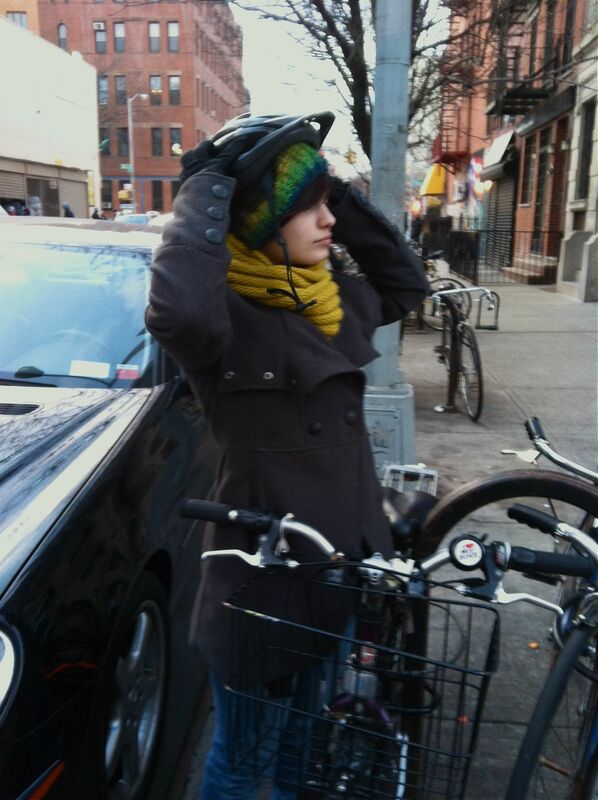 I walked over to Recycle-A-Bicycle on Loisaida Avenue and bought myself a beautiful recycled purple Schwinn for the price of two monthly passes. Now I dread when it’s raining and I have to ride the crowded and lumbering crosstown bus to work. I’ve been riding all winter and have knit some accessories to keep me warm. 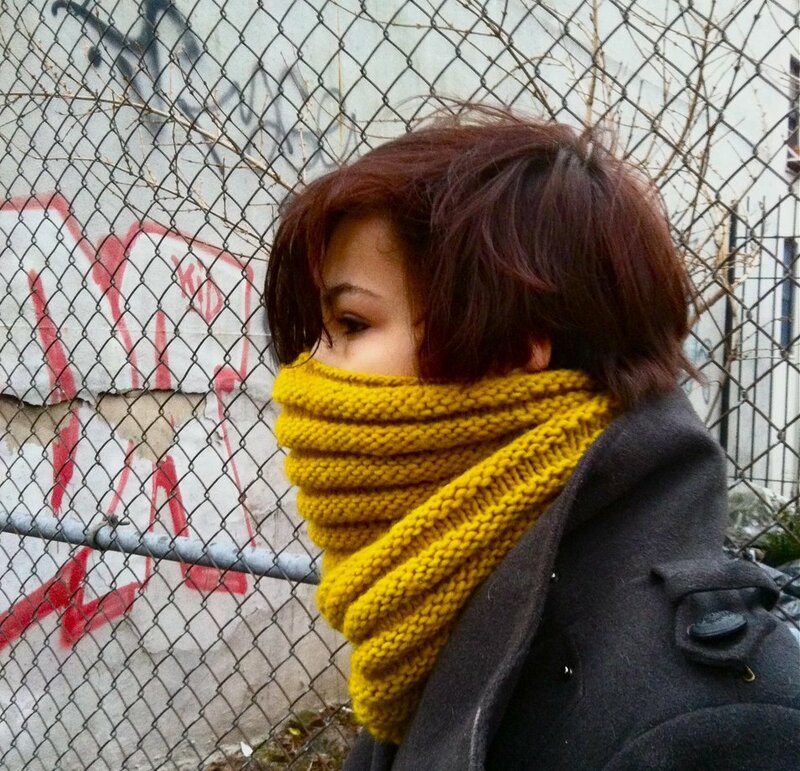 Taking the advice of For the Love of Bikes blogger Vanessa Marie Robinson in this post, I made myself a big enough cowl to cover my face in the wind and a wool headband to use under my vented helmet. 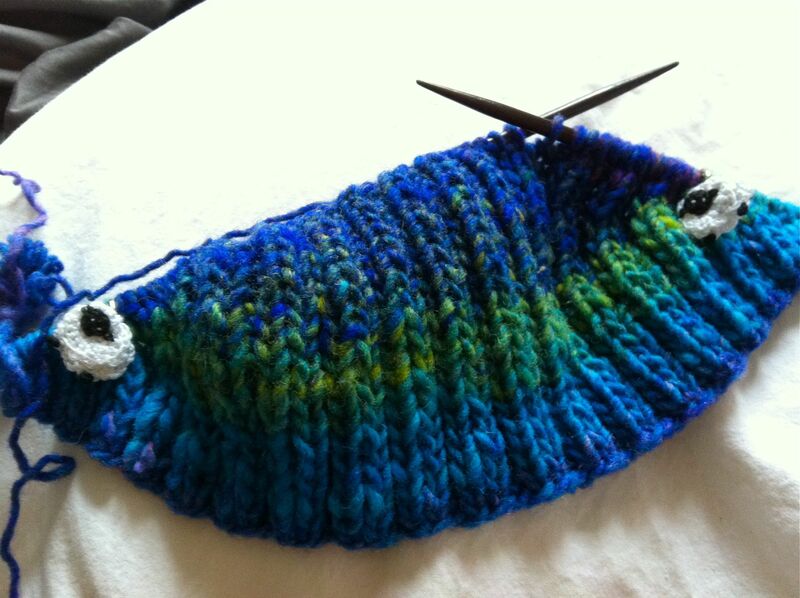 Join the stitches and knit 4 rows then purl 4 rows until you use up the 2 skeins. That’s it. I adapted the very popular Calorimetry pattern at Knitty.com for a narrower headband. 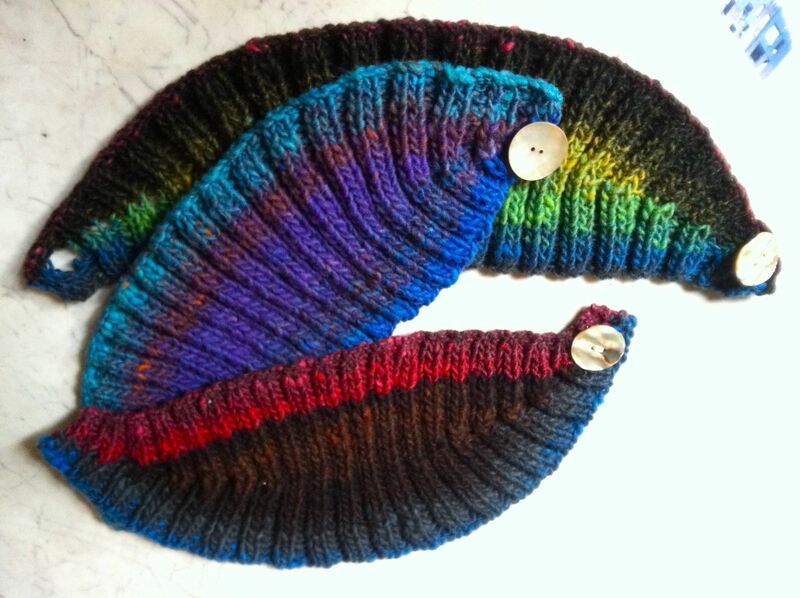 I used Noro Kureyon (which I encourage you to buy at your local yarn store). You can make two headbands from one skein. On Row 5, instead of repeating that row 15 times, I repeated it 8 times. On Row 7, I just repeated that row till there were no more stitches left outside the markers.